Discussion in 'Designers and Collections' started by Bellaly, Sep 22, 2009. 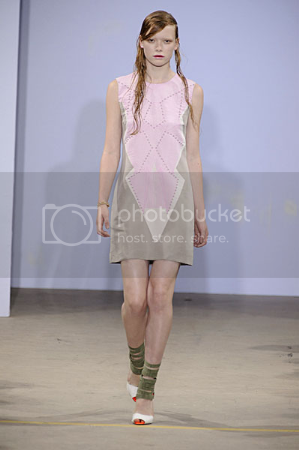 I almost always love what Jonathan Saunders shows. I think we can safely say that for the most part the colours for next spring are very muted! Oh my, loving the shoes already! Nice seeing him do nice softer shapes compared to what he did last season. So far, so good. I can not wait to see the whole collection, so far it looks amazing! 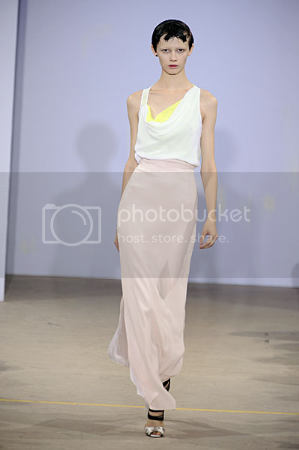 Wow, pastels are really hot in London this season! I like how Jonathan used them...that dress on Anabela looks so easy and Summery, very nice. Yes Pastels are very big news in London, infact one has seen very little else! Awful hair. 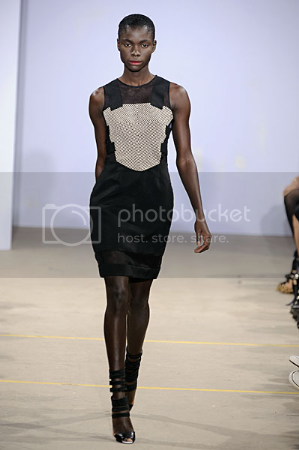 But otherwise I really like it, especially how much of a contrast he's made this against A/W. ^ Hahaha, I was just going to post on how I like the wet looking hair. I loathe pastels deeply, but the collection is beautiful and different without diverging from his aesthetic. And as always, I love the more bodycon dresses! I like the prints a lot, the sort of lines/ribbon like print he's used. I'm not a massive pastel person... but I can cope. Apart from lilac. I detest lilac. at the hair.. I really think it looks awful! The hair really is awful, it just looks dirty. I think over all it's pretty boring. What's with all the pastels in London? Clearly they all printed out the same WGSN trend page..